Medicare may be paying $2 billion a year for care for poorly screened patients. Physicians often fail to make a serious effort to look at the patients who are getting Medicare home health care benefits. 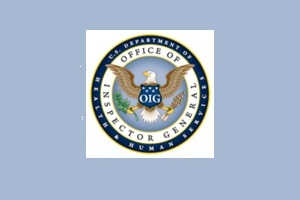 Officials at the U.S. Department of Health and Human Services Office of the Inspector General (HHS OIG) say a lack of proper “face-to-face encounters,” or failures to document the encounters according to Medicare standards, may affect about $2 billion per year in Medicare home health spending. Medicare does not normally pay for long-term care (LTC) services for enrollees who live in nursing homes, but it does pay for home health care services. HHS OIG reviewed 644 face-to-face encounter documents and found that 32 percent failed to meet Medicare program requirements. “Physicians inconsistently completed the narrative portion of the face-to-face documentation,” officials say. The Centers for Medicare & Medicaid Services, the agency in charge of Medicare, provides “minimal” oversight of compliance with the face-to-face encounter requirement, and CMS has not even provided a standardized documentation form, HHS OIG officials say. CMS should come up with a form that includes blanks for relevant information, such as a printed version of the physician’s name, officials say. Will LTC Providers Keep Your Clients Safe from Disasters?